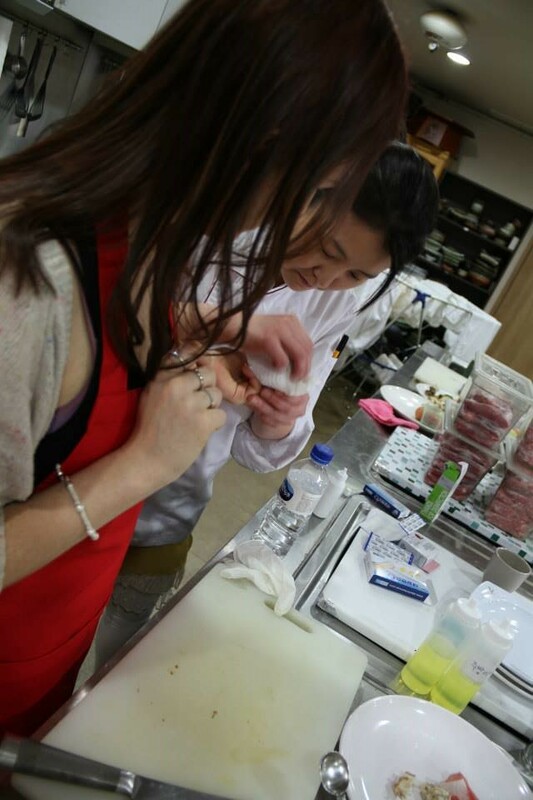 I wanted to share my experience of the cooking class, simply because it was one of the best, if not the best thing I’ve done in Seoul. It’s fun, interesting, and you learn something new, Oh, and you get a delicious meal at the end (how delicious will depend on your cooking skills, of course). 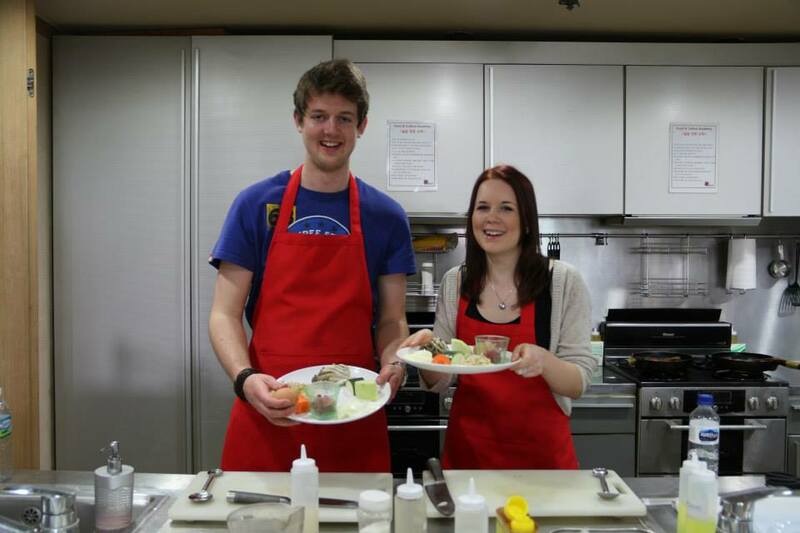 A little bit about the classes: they are run by The Food And Culture Academy and you can find their website here. The Academy is located in Jongno Gu, Seoul and directions can be found on their website. The prices range from 20,000 won to 65,000 won, and this includes: the price of the class, the meal at the end with some side dishes included, and a copy of the recipe you followed. 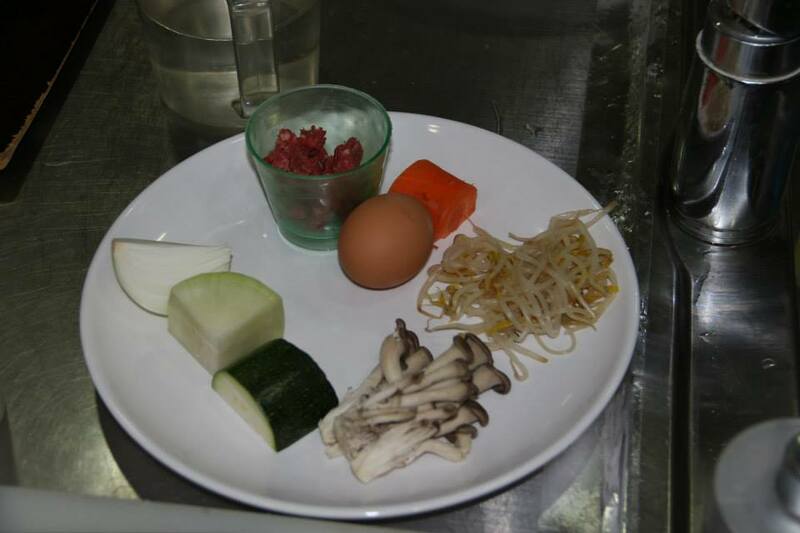 There is a huge selection of cooking choices, including: Bulgogi, Bibimbap, Dakgalbi, Japchae, Mandu, Paejon, Gimbap, and different types of Kimchi. 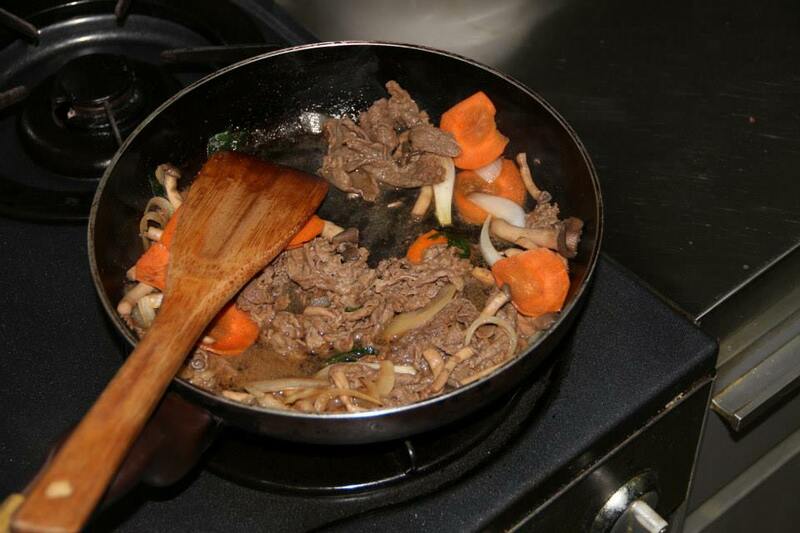 If, like us, you’d like to cook more than one thing, there is a 1 + 1 option. Getting bandaged after my little accident! 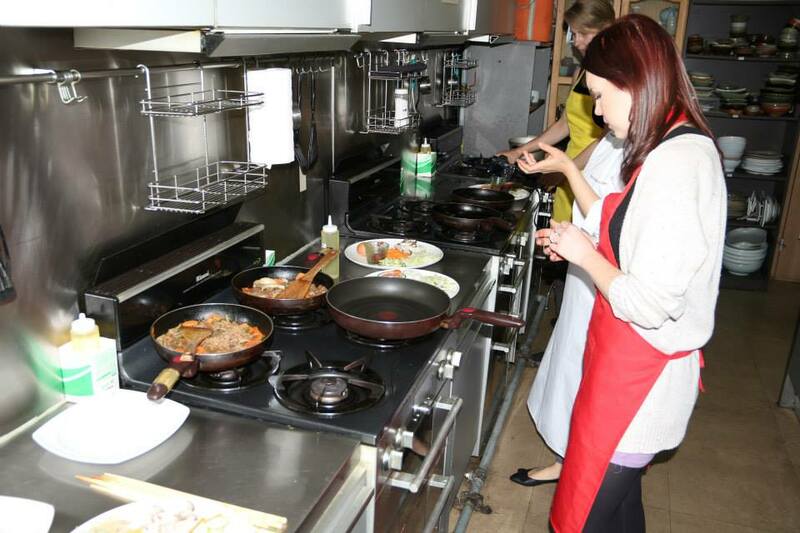 Don’t worry if you’re not a talented cook- the website calls the class ‘An Intensive Cooking Class for Avid Cooks’, but this shouldn’t put you off, as it’s not a scarily serious or difficult class by any means. Two minutes into the class, I chopped straight into my finger while cutting an onion, so I didn’t exactly prove myself as a super-advanced cook by any means! There is a chef with you at all times to direct you and make everything simple and easy (luckily). So we chose two things off the menu, cooking one first and leaving it to rest while we started on the second. This was a good way to do it, but also meant that at the end of the class we had not one, but two meals to eat. For someone with a big appetite like me, it was obviously great, but make sure you go feeling hungry! How it works- the cook simply instructs you as you go through, step by step. It’s good because you can also ask questions about what you’re making, which is pretty interesting! We learnt a lot about the history of the food and the different variations throughout the country. And obviously the main benefit of having your own chef is that you’re closely guided as you cook. You’re not just given a recipe and left to work through it. 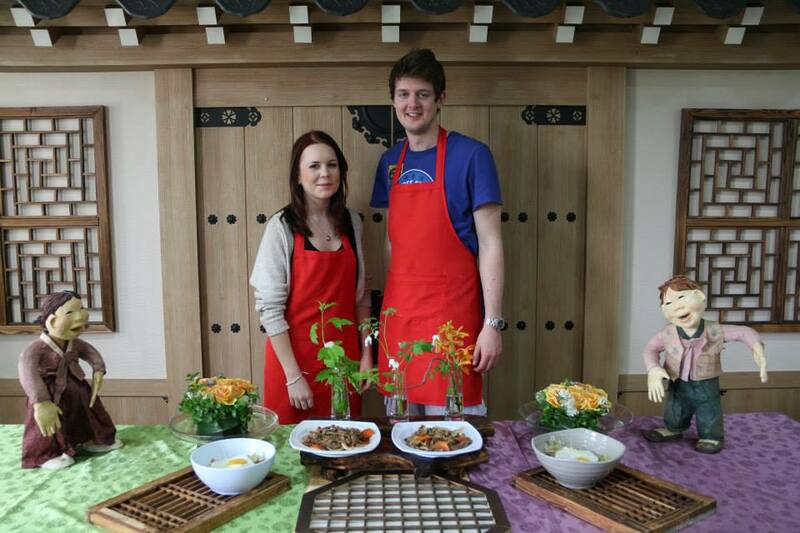 When you’ve finished, there’s an area for taking photos of you standing proudly with your food; you can even dress up in Hanbok if you choose, to feel even more Korean and properly get into the spirit of things. Then, there’s a separate eating area where you can sit and enjoy your food. 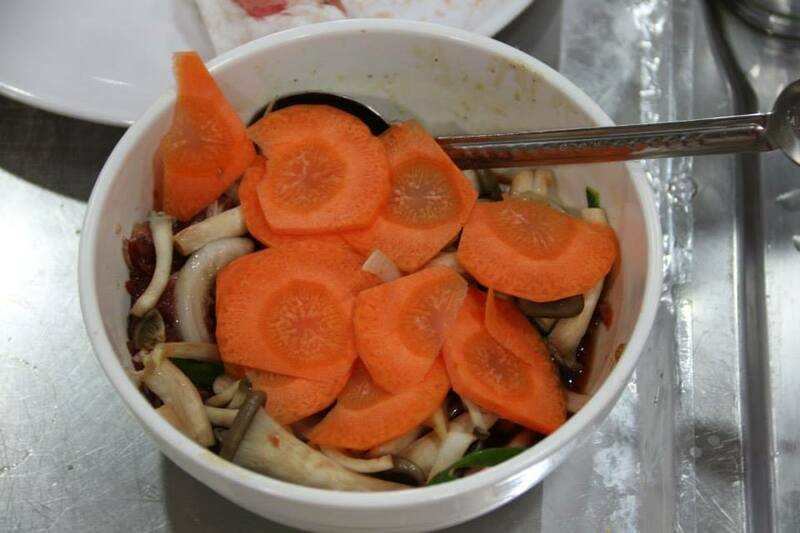 It’s nice that you’re given a few side dishes, as it feels like sitting down in a restaurant for a proper meal. 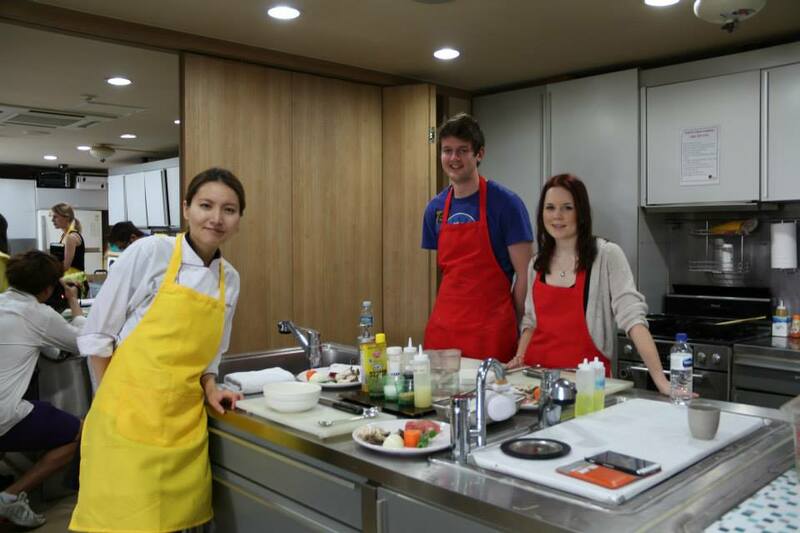 So, if there was one thing in Korea that I’d recommend doing, whether you’re here on holiday or living here, it would be this cooking class. 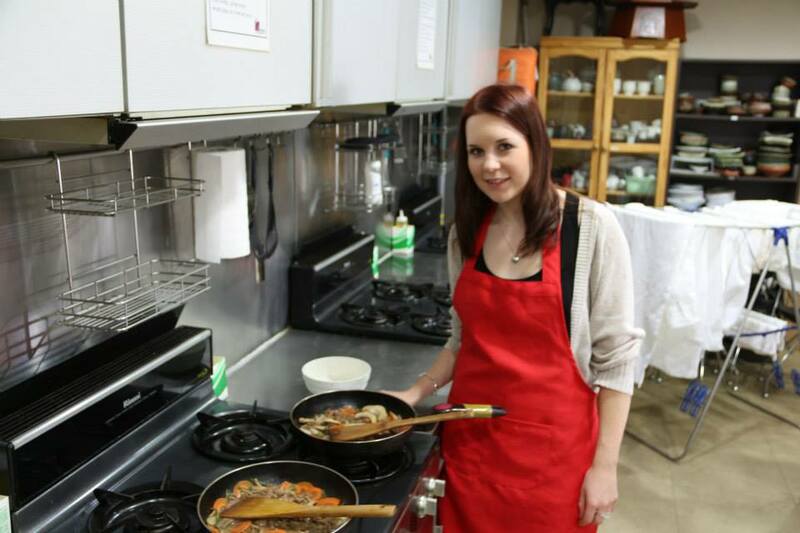 It’s excellently run, the staff are so friendly and helpful, and it’s a chance to learn about your favourite foods and how to recreate them yourselves. Most importantly, it’s a great way to eat and have fun; it sure beats going down to the local cafe! To find out more, check their website and get yourself booked in to a class. Trust me, you won’t regret it.